This latest posting encourages us to ask more pointed questions about how corruption is experienced and propagated by different genders, and about the importance of those differences. In this latest post from the series on corruption in fragile states, Barnard-Webster asks us to reconsider assumptions underlying efforts to utilize gender differences to stem corruption. Click here to read the post in French. Are women less corrupt than men; until recently, researchers have often associated the idea of “corruption and gender” with the pursuit of answering this question. Working on innovative anti-corruption approaches in Lubumbashi, DRC, we have repeatedly grappled with this question. Why? How might knowing more about this intersection help our network of local anti-corruption actors fight corruption in the criminal justice sector? What do those working on corruption in fragile contexts need to know? Before diving in, I wanted to learn more about how others in the field have unpacked these issues. Many attribute assumptions that ‘women are less corrupt’ to a 1999 World Bank multiple-country report claiming that governments with more female-representation were often less likely to be corrupt due to the fact that women are “more trust-worthy and public-spirited than men.” At this point, most feminists have probably changed the blog channel – but don’t just yet! The state of research in this regard is still inconclusive. Including women in politics as an attempt to reduce corruption has not been a definitively successful approach (you may see how it’s been attempted, through efforts to “feminize” local administrative posts in Uganda). What research in this area has clarified is that gender groups experience corruption’s effects differently and may have diverse approaches for stemming corruption. Now, practitioners, donors and researchers have started to ask different [read: better] questions. For example, what are the ways that corruption affects certain groups of women differently than men? Luckily for all, more definitive conclusions have been reached using this line of inquiry. There is now considerable evidence to show that the way women interact with public service delivery often leads them to experience corruption’s effects more harshly than men. Women are already an often-marginalized gender group within and across societies. Some might think of women as a gender group that thus bears the additional brunt of corruption’s “indirect effects” – the ripple effects when corruption drains resources – while also directly experiencing corruption in their daily lives. For example, a 2015 Sida Gender and Corruption brief asserted that corruption in public service delivery will often affect women more than men. Women – impoverished women in particular – in need of these services are generally already more vulnerable than men thus, when corruption reduces these resources, are often more indirectly affected in a variety of ways. Women, overall, are also often responsible for the care of children and elderly, and thus “may be subjected to corruption, for example in the form of bribery, by health service providers at different stages of their [and other’s] health care needs.” Here, the gendered roles women often play are likely to bring them (and not men) into contact with corrupt health service officials more frequently. A U4 2009 assessment of the state of research regarding gender and corruptionsupported this thinking, asserting that “bribes requested for the delivery of basic services such as health, education and water and sanitation affect women in a significant way” as many women will often have “fewer alternatives to acquire these services” than men. In addition, there’s been a recent push among researchers to decipher how corruption has affected women’s political participation (compared to men’s). A widely-cited 2010 U.N. primer on Corruption, Accountability and Gender asserts evidence exists that “corruption blocks women’s access to politics in both parliaments and senior public administration or acts as a deterrent to women contemplating entering these domains.” The main point here: selecting leaders is not always a merit-based process in corrupt contexts; instead – who you know, who you trust, and who can help finance a campaign might act as key criterion for political participation. (I know you might be thinking – ‘is this really all that different from a ‘noncorrupt’ system?’ Perhaps not, in which case might we need to further challenge our understanding about how corruption dynamics affect women’s political participation in different political contexts?). Thus, the literature explains that women as those often without “access to the important (and often corrupt) networks that mediate entry into politics” are excluded. However, to counter this point, cases do exist in which women drive corrupt behavior within government if such opportunities exists (see here for a case in India involving high-ranking women officials skimming money from a maternal health services program). So, what? Diverse approaches for stemming corruption? The intersection of gender and corruption is complex. Though it’s nearly impossible to predict if gender fuels engagement with corruption, it’s clear that gender groups experience and even understand corruption differently. Women are seen to have less tolerance for corruption than men (here, and here) and, in U4’s 2009 assessment, are “more likely than men to perceive high levels of corruption and feel that their lives are affected by it”. Women believe there is more corruption in public service delivery, within political, judicial and security sector institutions, as well as market institutions (here). And some women are even well placed to take a stand: it’s been suggested that women leaders focused on education and health reform might be adept at “reducing corruption via policies” within these sectors. Yet we are left wondering – are women leaders responsible for tackling corruption on their own, when possible? What role do men play across contexts? What more needs to be understood about societal gender roles, inequality and discrimination as these issues relate to corruption dynamics? How can evidence in this field help anti-corruption groups plan strategically to fight corruption? More good data is still needed to understand this nexus (as only 1/5 of the common tools to measure corruption are disaggregated by gender, and while some good regional quant data exists to shine light on important corruption & gender dynamics, more is needed to link micro-level findings to the macro-level). How are men or other gender groups vulnerable to corruption? During this review, women were often the focus of “gender and corruption” studies, rather than men, women or other vulnerable gender groups (e.g., LGBTQ). While it’s understood by many that women suffer more, and differently, than men when it comes to corruption, the general focus on women’s experiences implies much research is also still needed to understand the unique ways men experience corruption based on their societal gender roles. For example, men might be more vulnerable to corruption under certain circumstances simply because they engage more frequently with highly corrupt traffic police. Yet, is this because, as men, they carry a set of cultural signals pre-disposing them to be extorted – or simply because, as individuals, they are for some other reason more frequently in contact with a corrupt police force? In other words, how do the gender roles defined by social norms influence whether and how men, women and others encounter corruption differently? A very big thank you to our team at RCN Justice & Démocratie for their support, and help with the translation of this blog post to French! 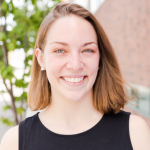 Kiely Barnard-Webster is Program Manager at CDA Collaborative Learning Projects, working on innovative approaches to tackling corruption in the DRC and peacebuilding and conflict sensitivity in Myanmar. Kiely focused her studies on gender and development at the Fletcher School of Law and Diplomacy. ← Les femmes sont-elles moins corrompues ?